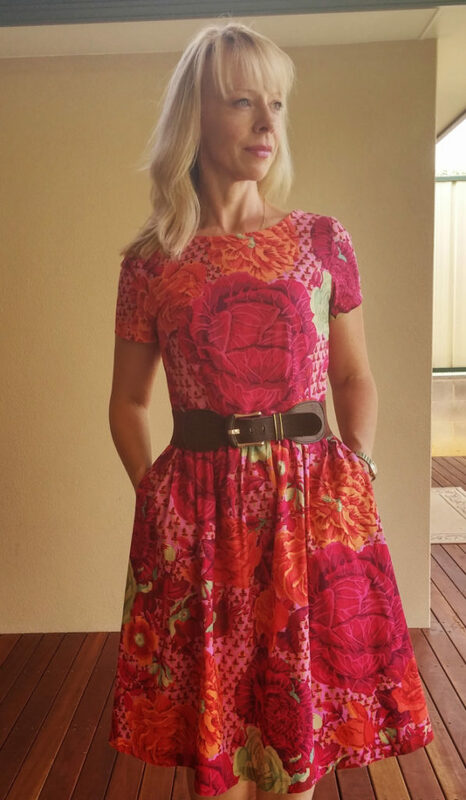 I forgot to blog this dress! Its the Emery dress, this is made up exactly as is with only a small forward shoulder adjustment. The fit on the sleeve is very good which tells me it is drafted for those with a forward shoulder. I found the fit in the waist rather loose and ended up taking it in, in fact the over all sizing is intended to be looser so if you want a close fit (and you are small busted), size down. Because of the loose-ish fit I prefer to wear it with a belt. 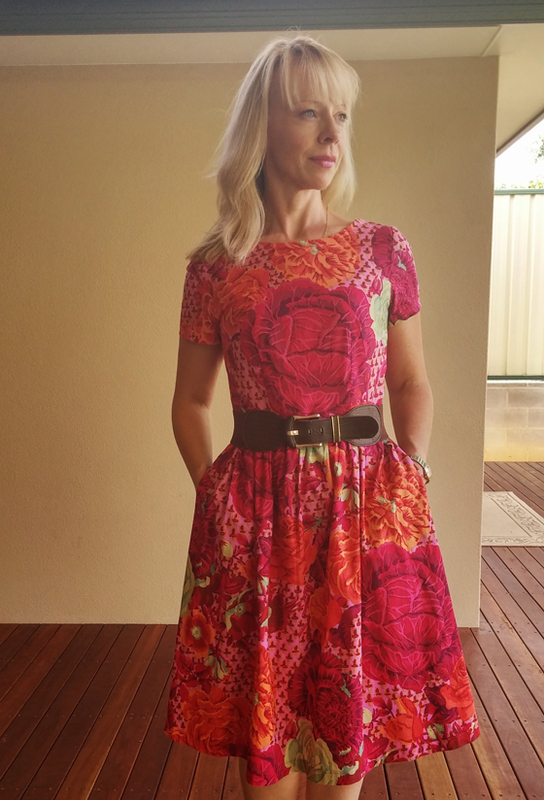 I personally am not a fan of gathered skirts, they always feel frumpy on me, but I decided to follow the pattern exactly as I hadn’t made a gathered skirt before and wanted to give the look a proper “go”. The end result is that I prefer the look with heels but that really is my own personal preference. I HATE what I ended up doing with the pattern placement so ended up with a big honking cabbage in the middle of my chest (what was I thinking, I ask, what!!!!). The fabric is a Kaffe Fassett print of cabbage roses. It was much softer and drapier to work with that a standard quilting cotton and worked beautifully for a dress. I was inspired to use this print after seeing it made here by Leisl – just beautiful! 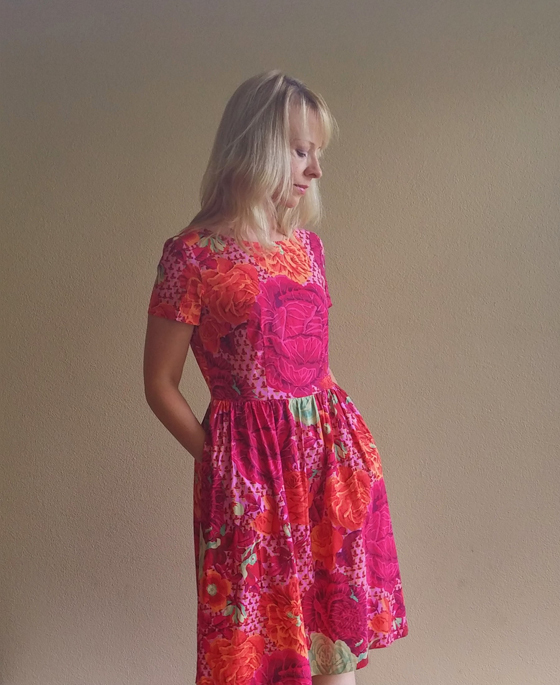 Would love to get my hands on some more Kaffe Fassett fabric so I can make another dress with some better print placement.